Set that page as your front page in Settings > Reading. Note* Don’t set your post page here. You don’t need to with this theme. 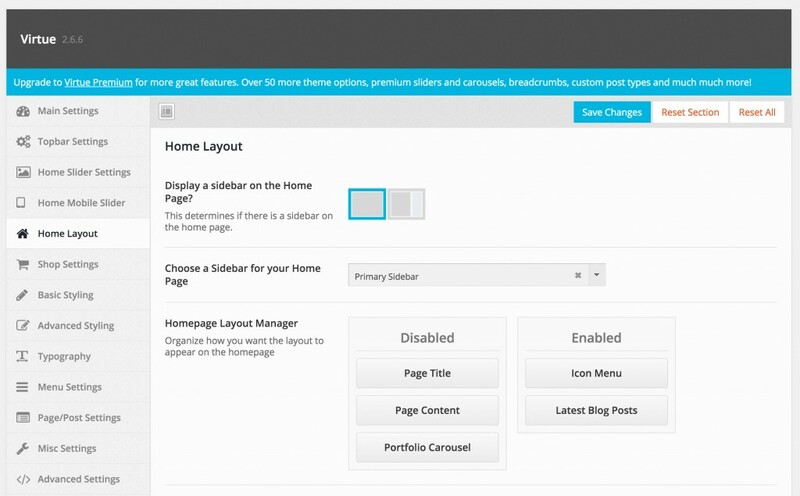 Go to Theme Options > Slider Settings and choose and create a slider for your homepage. Or select none. *Note if you choose to use the Kadence Slider you need to create that in the Kadence slider plugin settings. After enabling each module you would like to use you can scroll down on the page and adjust the settings on your enabled modules. *NOTE: For all the free theme options please make sure you have installed and activated the virtue/pinnacle toolkit plugin. 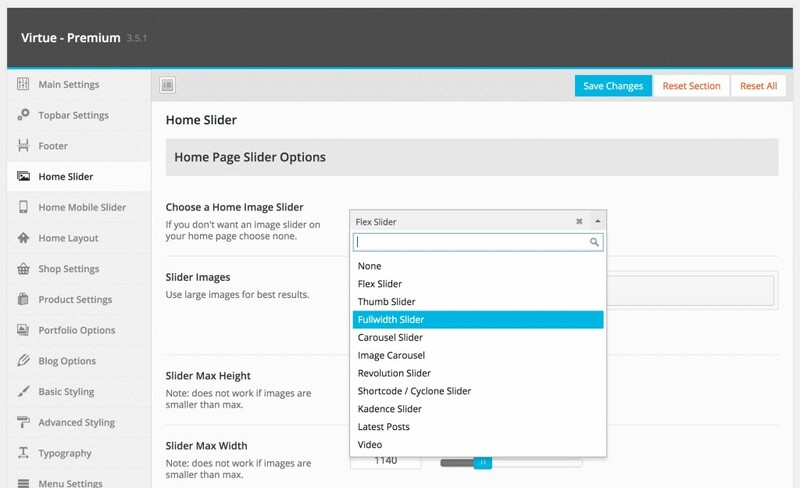 Go to Appearance > Theme Options > Slider Settings and choose and create a slider for your home page. You can select “flex slider” for example, then below using the add slides create as many slides as you would like to go with your slider. 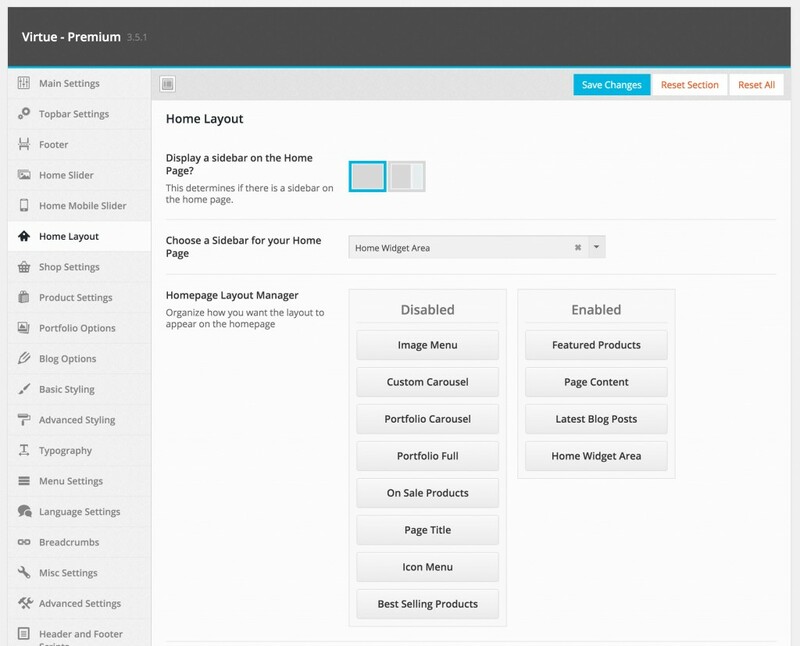 Using a page builder plugin is a great way to manage your home page (and other pages). 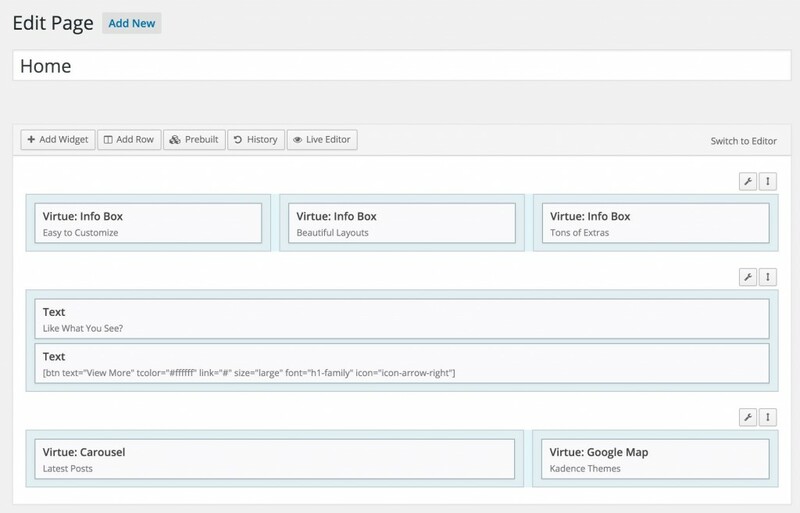 You can create full-width content areas, as well as unique custom columns layouts. If you are using the Gutenberg editor, we recommend using our Kadence Gutenberg Blocks plugin. It adds custom blocks to extend Gutenberg’s editing capabilities to better build custom layouts and make Gutenberg able to do more closely what popular page builders can do. 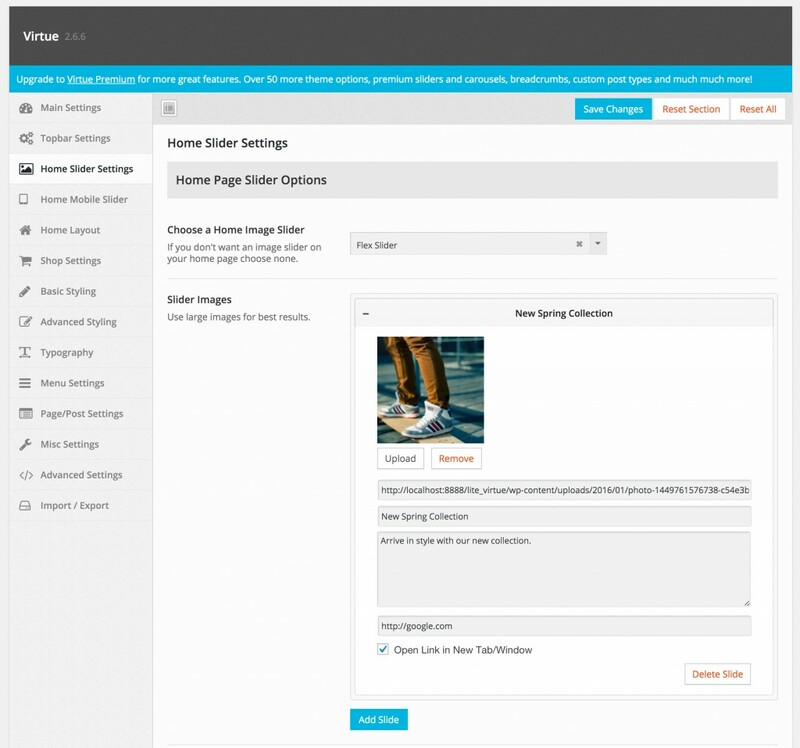 If using a page builder plugin, make sure you have the plugin installed (premium users can go to Appearance > Theme Recommend Plugins to install). Then in your Theme Options > Home Layout make sure to have the “page content” dragged into the “enabled” column. Now navigate to the page you first created in step 1 and edit.